The summer holidays are in full swing which means it's all the more important to keep your child's skin safe from the harmful effects of the suns UV rays. Even if you're staying closer to home this year, your child still needs to be protected from the sun, it's often the cloudiest days that have the highest UV rays, and it's days like this that people often don't think to cover up. Whether you're heading out in it for 10 minutes or an hour, sun damage can occur in the shortest periods of time. To help you have the best summer with your little one's without the worry of burnt and sore skin, here are some of our top tips for keeping them safe in the sun. To keep your child's delicate skin safe and free from the damaging effects of the UV rays cover up with plenty of sun cream, a minimum of SPF 15 should be applied, but for fairer skin and younger children SPF 50 is much more effective. This should be topped up regularly throughout the day and at least 1 tablespoon of sun cream should be used to cover their body. Add extra amounts to the areas more susceptible to sunburn such as the ears, nose and eye lids. Slathering on the sun cream is the best way to protect against the sun, but used in conjunction with other methods helps to form a much more effective barrier against the sun. Facial skin is by far the most delicate and susceptible to sunburn. Encouraging your child to wear a sun-hat at all times is a great way of keeping the sun of your child's face and protecting their skin. Wide brimmed hats are the most effective as they provide more cover, hats that cover the ear area are great for little one's to wear who love to go outside and play during the summer. 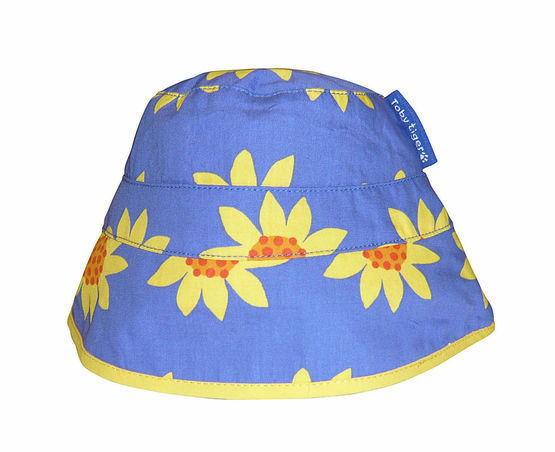 This reversible sun hat from Toby Tiger is perfect for babies to wear, made from cotton it's soft and gentle to baby's skin making it perfect for protecting child's head from the sun so you can be worry free this summer. 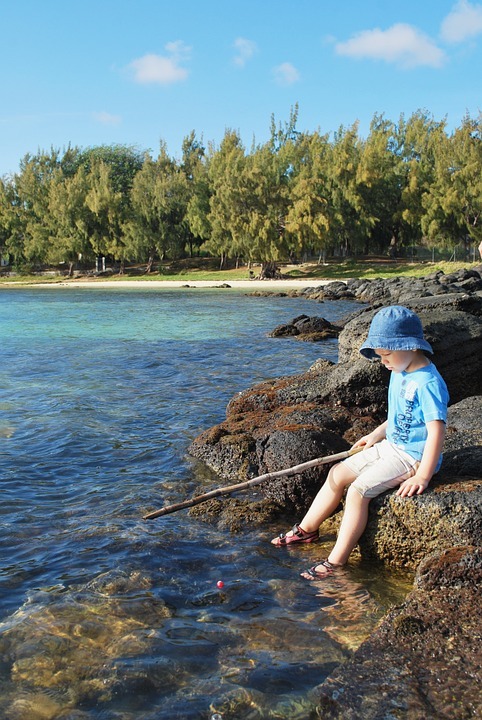 Whether your children are splashing around in a paddling pool in the garden or swimming in the sea, being in the water makes you more prone to catching the sun as the light from the sun reflects off the water. Get your children to cover up with a t-shirt, rash vest or a UV swim suit. Remember to continually apply suncream after they've been in the water and opt for a waterproof option of sun cream if possible. We love the Mahina Merswim rash vest for summer holidays as it's a comfortable, pretty and made from SPF 50 + protected material which is perfect for water babes who spend all day long in the water! Where possible head to the shade when you can where your children can play out of the suns rays. The sun is at its strongest between 11am and 3pm so try to keep out of the shade and covered up in those times. If there's no shade available at the beach or in the park, make sure those sun hats are out, the sun cream is on and put a sun umbrella up if possible. Sun stroke is a very unpleasant condition that arises from lengthy sun exposure, team this with sun burn and you can make yourself very ill. To avoid it this summer, as well as putting in the necessary precautions against the sun make sure you stay hydrated with lots of water, cool lollies and juicy foods such as fruit. Armed with these keeping safe in the sun essentials, you'll be able to enjoy keeping your little one's outside in the sun for longer this year! Do you have any other tips for keeping safe in the sun? 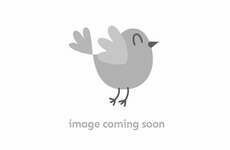 Do let us know on our Facebook page, Instagram or by following us at @bird_kids.